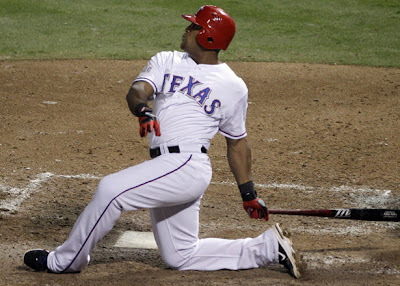 Is there a hotter hitter in baseball than Adrian Beltre right now? On Monday night, Beltre went 3-for-3 with a home run and 4 RBIs to help the Texas Rangers defeat the Tampa Bay Rays 6-5. 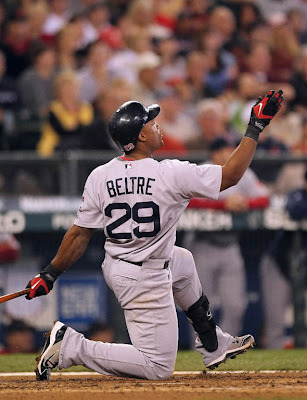 If you'll recall, Beltre was selected AL player of the week after a 3-homer game and another in which he hit for the cycle. 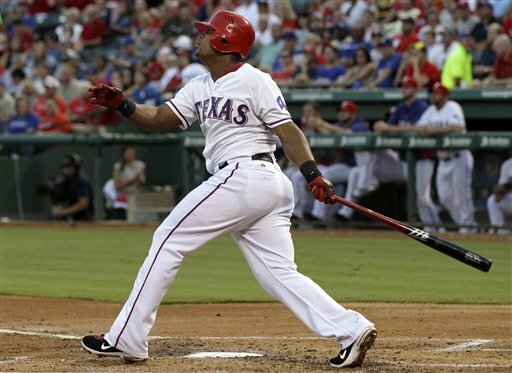 In his last 8 games, Mr. Beltre has batted .385 with 6 dingers and 13 RBIs! Beltre joined Joe DiMaggio (1948) as the only other player with a 3-homer game and a cycle in the same week. There is an abundance of love, at the Hot Baseball Wife Hall of Fame, for Adrian Beltre. 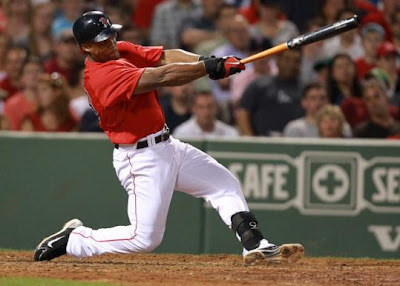 One of the coolest things I've ever seen in a ballpark - and I've seen many - was Adrian Beltre cranking a home run over the Green Monster, out of Fenway, and onto Lansdowne Street...from one knee!!! Another sweet slugger, Toronto Blue Jays outfielder Jose Bautista, will have season-ending surgery to stabilize a tendon in his left wrist. 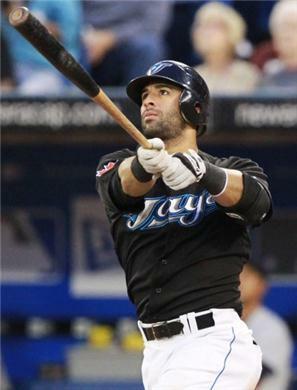 Bautista has not played since he initially injured the wrist in an at-bat against the Yankees on July 16.